WANKULUKUKU – Express have suspended first choice goalkeeper Mathaius Muwanga over match-fixing claims. This comes just days after the custodian was involved in Express’s 2-1 win at home to Nyamityobora on Friday afternoon in which he conceded what was deemed by many as a lousy goal from a penalty. It is believed that the former Sadoline custodian was informed about his fate on Saturday morning as the rest of the players held their recovery session. “Yes Muwanga is currently not with Express, claimed the source. “He was involved in a meeting with the coaching staff on Sunday after which he was told to leave. “It was all based on his average showing against Nyamityobora that saw him concede a silly penalty and goal. “The coaching staff who have been keeping a close eye on several players for a while now believe he may also be involved in match-fixing. The custodian was also absent for the training session on Sunday morning which confirmed the suspicions. 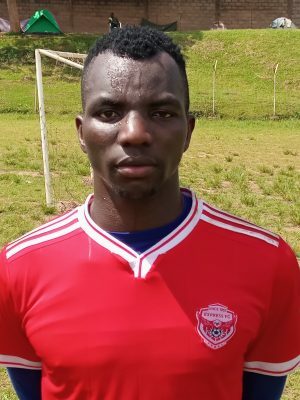 Muwanga becomes the second high profile player to be suspended by the club over match-fixing. He joins former Captain Julius Ntambi who be-fell the same fate just over a month ago.